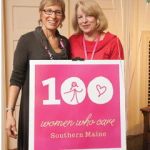 100+ Women Who Care Southern Maine is in the News! It was such an honor to have Bill Nemitz from the Portland Press Herald at our 3rd anniversary celebration! Bill’s article about 100WWCSM in the Maine Sunday Telegram has made an immediate impact! 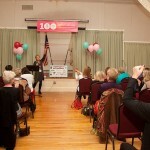 Since Sunday, 100+ Women Who Care Southern Maine gained 14 NEW MEMBERS!!! AMAZING!!! That means thanks to Bill an additional $2800.dollars will go to grassroots Southern Maine causes and I’m certain more in the days to come. 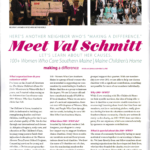 Information Coordinator, Val Schmitt, was profiled for her volunteer efforts with 100+ Women Who Care Southern Maine in this local magazine. 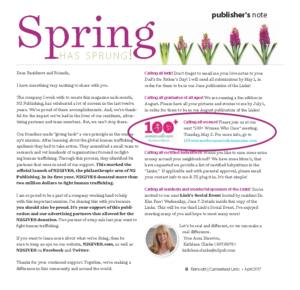 N2Publishing’s Kathlene Clarke recruited more members for us in their April edition. But multiply that by almost 200 and you have a different story. 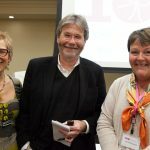 Around 200 women attend the four meetings that 100 Women Who Care Southern Maine puts on a year. 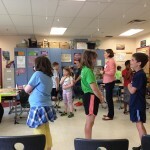 Each giving $50 to a local charity that the group chooses by voting. 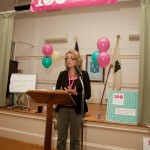 Based on the national organization 100+ Who Care, the southern Maine chapter is one of nearly 350 around the world. Members of the group — nearing 200 women from 16 to 70 years of age — meet quarterly to learn about different organizations that help people in need and contribute $50 each to one of those groups. Out of the Mouths of Babes. What it’s like to have a disability. 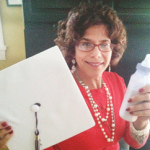 “Barbara Bonetti, whose son is in the U.S. Army, has seen first hand the impact that war can have on military members. 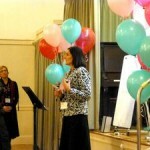 “I joined a fabulous group of women recently — 100+ Women Who Care Southern Maine.